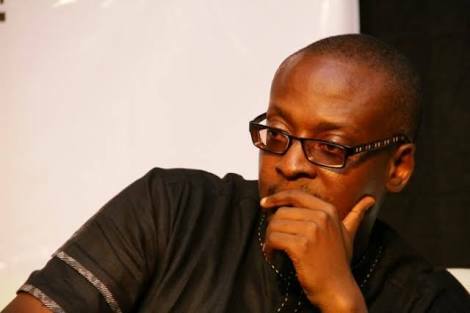 The CEO of November Productions, Charles Novia had an exclusive interview online with a 17 year old publisher explaining why after producing over 40 movies, soaps, and starting Teens Africa TV, he has more coming. Reporter: We seem not to be getting new movies much these days from Charles Novia Think stables as we used to before. What's going on? Novia: In almost two decades, I have produced and directed over 40 movies and numerous television series and programmes. I'm still in my forties and turn mid-forty this year. The reality about Nollywood for the pioneering school is that there is a passion, a panache and a pragmatism which comes with that generation. We saw it all then and are still seeing it all now. Or rather, speaking for myself, I think I'm not out of the game but I'm more restless and creatively roving at this point in my life. A decade ago, I woke up one day, at the height of my fame, success and traction as it were, after having produced, written and directed about 35 movies back then and had traveled round the world, I woke up and asked myself what the future for this entertainment business I'm in portends. Remember at that time I was running two successful companies which had redefined the movie and music business, November Productions and November Records. ( November Productions is still a big content production brand, by the way). So, I started asking myself questions. And I came to glaring realisations; the movie and music business would collapse in a couple of years because there were no structures. None. What we had then ( and largely subsists today) were glamour and short - term adulations but no financial parity which one could say genuinely came from the sweat of the labour invested. Piracy, dwindling sales and packaged poverty was rife. I had made a brand name but I wasn't satisfied. The amount of time, money and passion invested was not commensurate with the returns as I wanted it. I did much research and study and decided that for me to build a personal structure for progress in the media business, I had to consciously invest my creativity away from Nollywood and music for awhile and build a new structure which would guarantee my survival within the brand values of my art and prop up my brand as a value added one in the industry. So, I started an understudy of the media world and it's potentials. And when I got to a realisation that all my love and fears for the young people have to be expressed in ancillary investments into their creativity and talents, the idea of setting up a Television Channel for young people came to me and as with everything creative about me, once that seed was sown in my mind, I couldn't rest anymore until I got the statutory approval for a licence last year for Teen Africa TV. Reporter: So, you are saying you are more into starting a television channel than producing content for Nollywood? Novia: November Productions produces content. As a company, we probably have one of the most formidable libraries of original content for Nollywood and television. And we have a goal to be the biggest content library in Nigeria for original content in the next decade. So, I'm not entirely out of that sector because content is king. The world has reached a media convergence where content consumption brings in millions of dollars on air and online. As a content production company, we are very well aware of that and have been producing content for upload in 2017. Some of such we brought out in the past couple of years on television got awards and nominations, which means we still have the winning touch. Teen Africa TV is a television channel for a niche market and we have been producing content for that sister company and have worked out a launch scheme in 2017. Due to Buharinomics, we couldn't get on air this year because we missed our financial timelines because of the dollar exchange and stuff. But we have a new timeline to work towards and surely by 2017 the channel will take off. 2017 is just a few months away. I'm still a brand in Nollywood, to clarify. But my creative energies are diversified to build lasting legacies of thought and structures right now, than to showcase movies to satisfy the curiosities of fans and colleagues for the red carpet. Reporter: What does that mean, please? Novia: The progress of Nollywood in the past five years has been phenomenal and commendable. However, looking at it closely, the movies and content coming out from the so-called new movement have been terribly Westernised. They have succeeded mostly in churning out urban contemporary tales without the African experience, the African identity. So, the cinema movies are now so Tyler Perry-esque, so Hollywoodish, so far removed from the African identity which got the world looking here in the first place, that the new filmmakers have deliberately pooh-poohed the local audience and that's where the mistake lies. There is a one billion people audience in Africa and that's my focus, that should be our focus as African filmmakers. Few Nigerian filmmakers of the amorphous new school have that consciousness to have ingrained plot lines for the African audience. That's where Kunle Afolayan and Izu Ojukwu and a couple others who straddle the recent past and present, make all the difference. They ensure that either culture or history are part of their movies. It's a powerful template to build on. So, almost every movie going to the cinemas in Nigeria today have the same defects in treatments and interpretation and even artistic direction. It's the same aspirational story lines, unpardonable accents rather then elevated elocution, stock interpretation of roles and more attention to the technology more than the creativity. We now celebrate actors with confused accents more than actors with the power to be their characters. It's like the new school wish to totally distance themselves from the past. But the most interesting thing is that, the actors from the second generation Nollywood and even some of the directors draw more attention to the box office. Why is it that RMD is still a box office puller till today? Or an Omotola or Omoni? Why is it that Aki and Pawpaw and Mr Ibu are some of the most recognised faces in Africa and diaspora? It means there was something very powerful in the past from Nollywood which the new school hasn't factored into their offerings. Filmmaking is an intellectual business. A lot of thought goes into it. High level thinking. Mostly, a present crop of filmmakers believe in making films which they want to see and not what they know the audience would never wish to see. That's the mistake. Filmmaking is a business and there is a commercial angle to it. The late Amaka Igwe used to say 'My name is Amaka and I'm proudly a commercial filmmaker' and I totally align with her in that regard. Some of the most enduring people - oriented characters on television today were created by her. She gave life to characters which defined viewing habits. That's the power a filmmaker who has intellect has in his hands. But when you have a new school coming in first with a laughable mindset which more often than not is ' I'm coming in to show the old guys that they have been doing rubbish', it's best to allow them carry on, fall flat and learn the hard way. Because after the red carpets and segmented adulations, many of such would wake up to a reality of zero accounts and stiff smiles in public. My generation of filmmakers made billions from our commercial films in the past. Billions. I must have made tens of millions too a decade and a half ago from my movies and those were the days of VHS tapes too! In essence, I think a bridge of history and the present is needed. Also, find the new African experience and culture and you will have a winning formula.